While busy with a research assignment for the next few months, I am posting excerpts from my Judge family newsletter. Last time we followed my great-grandfather, Brown Judge on his journey from Scotland to New York. This next excerpt describes a typical immigrant arrival at Castle Garden in New York in 1880, which would be something like what my great-grandfather experienced. After he arrived in New York, he went on to Pennsylvania. 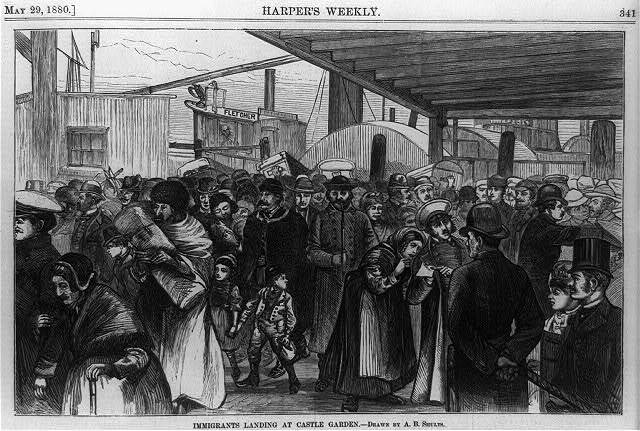 After passing quarantine inspection in the harbor, passengers were transported by smaller boats to the Castle Garden immigrant station for medical examinations. Everyone proceeded up the corridor into the interior rotunda, while baggage was taken to the luggage warehouse. 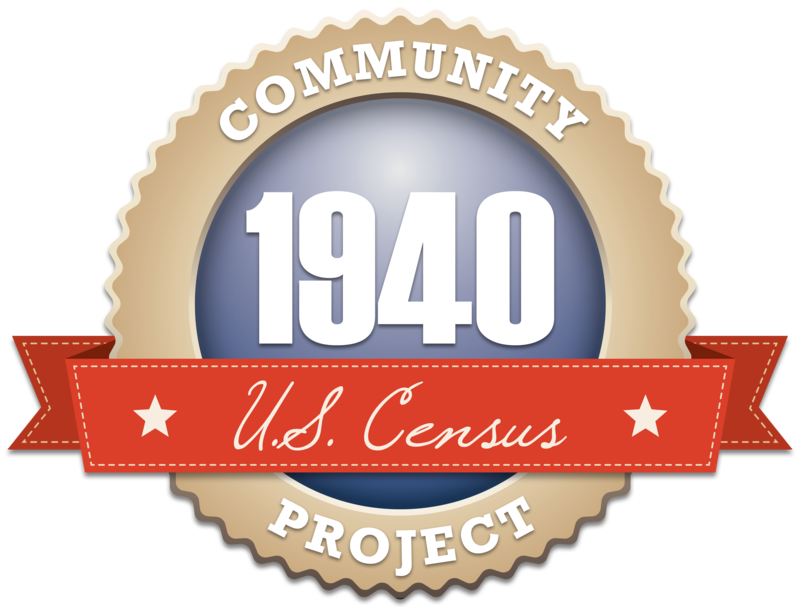 One by one, each person was registered by clerks who recorded their names, birthplaces, and destinations in large folios – a difficult task given the language differences and the apprehensive immigrants. Castle Garden offered numerous resources to help the immigrants. There were railway company agents, exchange brokers for changing currencies, licensed boarding-house keepers allowed to solicit, as well as a letter writing department, a mail and money forwarding department, and a labor exchange. But just outside the safety of the Castle Garden walls, danger still lurked. Thieves, blackmailers, pick-pockets, and agents of unscrupulous boarding houses were waiting to take advantage of a hapless immigrant. The newspapers of the time stated that it was unsafe to venture into the city unless accompanied by a policeman. After passing through immigration, Brown was ready to continue to his final destination in Pennsylvania. The best way would have been by rail. A Scottish immigrant named William Bauchop Wilson took the same journey in 1870, which he described in his autobiography. This journey could very well have been the same for Brown Judge. William says that from Castle Garden “we were bustled aboard a ferry boat and taken to the Erie station at Jersey City, and crowded into an immigrant train bound for the west. 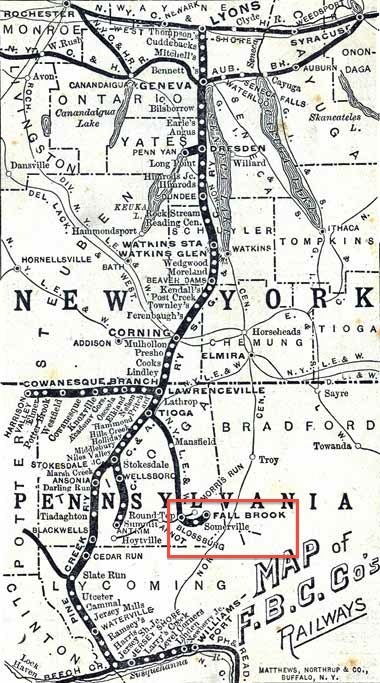 The next day we had a joyous reunion with father at Corning [NY]… That night about midnight we reached Blossburg.” Fall Brook, where Brown first settled, was 6 miles to the east of Blossburg, as seen on this 1890 railway company system map. Where is the Rest of Brown Judge’s Family? Brown Judge undertook his journey to America without his wife and family. We assume that once he was settled in Fall Brook and was working as a miner, he saved his money in order to send for Sarah and the children. Not quite 3 months after her husband’s arrival at Castle Garden, it would be Sarah’s turn to follow the same route from Scotland. On August 23, 1880, she arrived at Castle Garden on the SS Circassia. Her five children came with her: My great-aunts Isabella, age 11; Mary Ann, age 10; Margaret, age 8; Sarah, age 6; and my great-uncle James, age 3. Sadly, their youngest daughter, Elizabeth, became ill a few days after her father reached New York, and died of tubercular meningitis 2 weeks later. She was only 7 months old. Did Brown know, or did he learn the news when he reunited with his wife and children? Sarah’s departure from Old Cumnock, so soon after the death of little Elizabeth, must have been painful. Imagine also how difficult the crossing would have been for her and her children, without her husband by her side. The following summer, in June 1881, Sarah and Brown had a second son. He was their last child and the only one to be born in their new country of the United States of America: my grandfather, John Walter Judge.